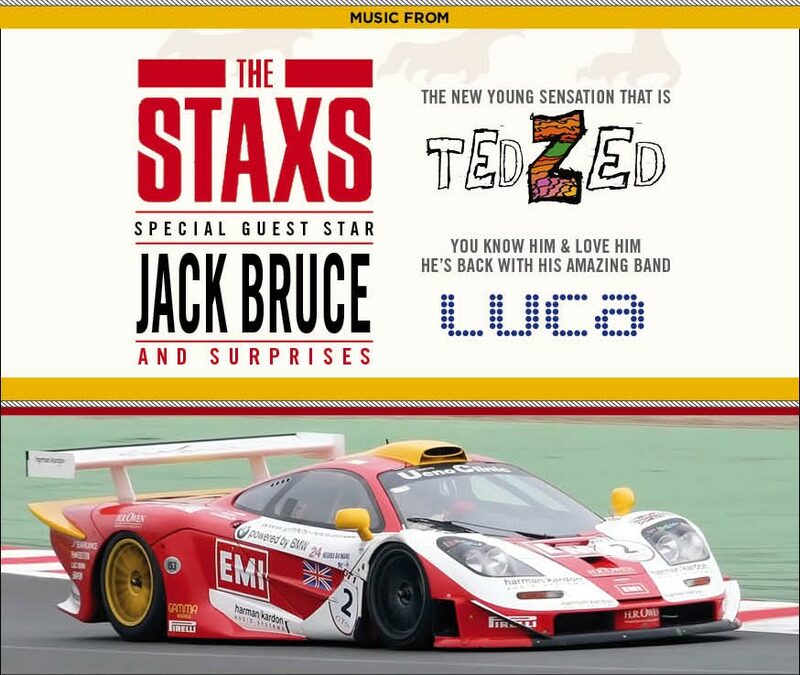 so don't miss the big party ... get your tickets now! You can either pay using PayPal (below) and your tickets will be waiting for you on the night. Or  you can send a cheque to Clare Scherer at Bentley Cottage, Westerton, Chichester PO18 0PG. Under 16s are free ... but please specify how many. Or  you can pay on the night by cheque or cash. We cannot take credit/debit cards on the night. There will be a bar on the night, and a raffle/auction  again cash or cheques only. this champagne is served at Gordon Ramsay restaurants. Learn about the winemaking process, enjoy sampling their champagne, and enjoy a delicious lunch. and the pilot will launch from your chosen location in the area, including Telegraph House. THE WALL presented to Steve O'Rourke, framed and ready to hang on your wall. If the weather is bad, there is an enormous marquee. it's going to be a great night and it's going to be a MAD HOUSE so be patient with things!!! Please help us make this a night to remember, we really hope we see you there. 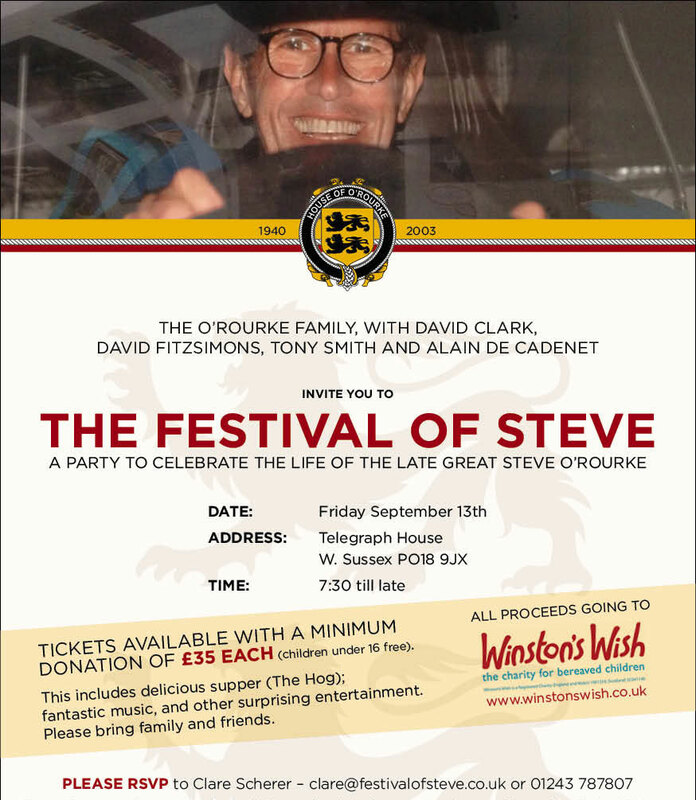 Any questions, e-mail clare@festivalofsteve.co.uk or ring 07947 691 950. Donations can be made through PayPal or by cheque payable to A O'Rourke & C Scherer re FOSteve. Click here for directions to Telegraph House (PDF). Click here for directions to Telegraph House from Goodwood (PDF). MOBILE USERS: Click here for a map and directions to Telegraph House on your phone.